Motivated by the prospect of lowering the operating costs of their commercial investment property, the owners conducted a major renovation of the building's existing mechanical systems. They also installed new insulation, a new roof, and hired Onsite Energy to install a high-efficiency solar electric system. Main and Tracy is a thriving corner in downtown Bozeman. 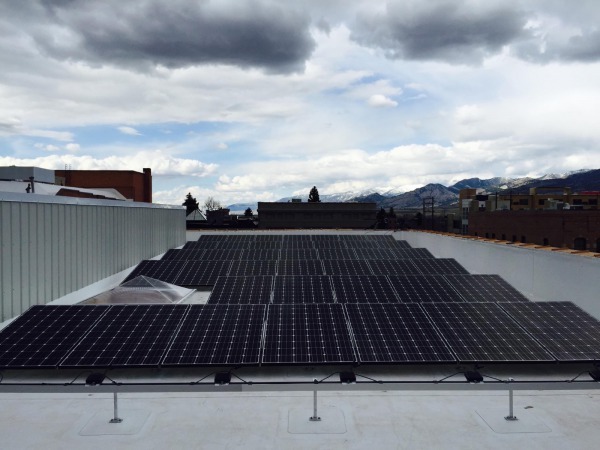 Typical to other buildings in Bozeman, the large, flat roof of this structure lends itself well to the installation of a sunlight-harvesting solar array. 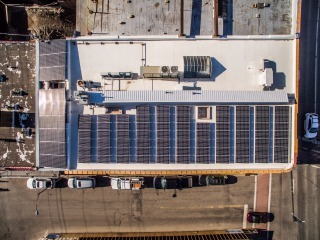 After a careful site assessment and discussion with the property owners a large, 108 module array was designed employing a 15-degree tilt-up roof-mount system to maximize the quantity of photovoltaic cells installed on the roof. 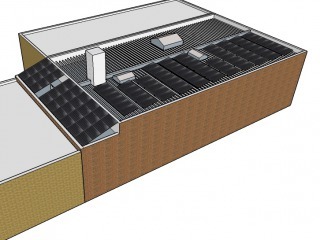 The most significant challenge of this project was working with a structural engineer to devise a plan to reinforce the old roof structure in order to allow the introduction of new dead load and uplift forces caused by the solar array. These reinforcements were implemented by the building contractor in conjunction with the new insulation and roofing surface. The other main challenge was simply working downtown. S. Tracy Ave had to be blocked off to crane materials on and off of the roof area, and street foot traffic had to be rerouted to enable snow removal on numerous occasions. 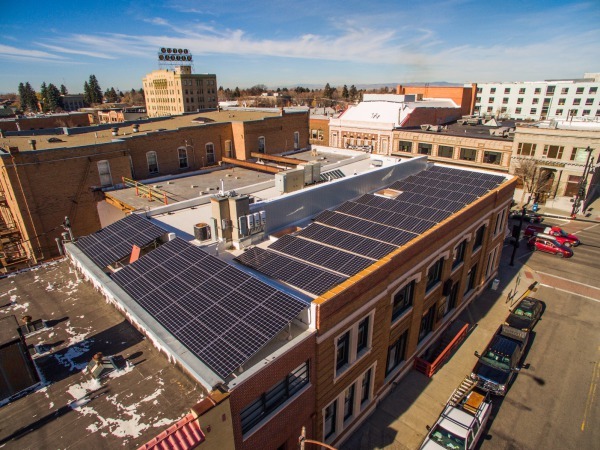 Utilizing advanced solar module-level power production technology to mitigate energy losses from shade caused by parapet walls and other nearby buildings, this system is estimated to offset 70% of the energy usage of the office spaces on the upper level of the building. The owner of the system was able to take advantage of a USDA REAP grant in the amount of 25% of the project cost, a 30% federal tax credit, and utility incentives. converted to three-phase 208-Volt AC power by the 3 SolarEdge 10 kW transformerless inverters, seen above. The system is projected to produce 39,240 kWh annually. System performance data is monitored online. 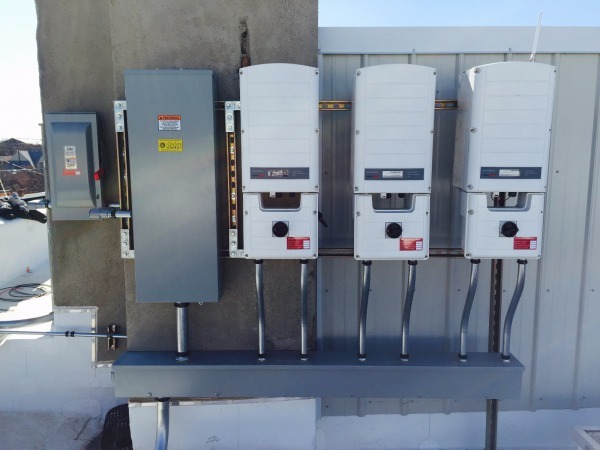 SolarEdge inverters convert the DC power from the solar array into usable AC power for the building's electrical loads.